Will be live on Tourney Machine on, or before, Thursday, June 6, 2019. ARRIVAL. All teams should plan on playing at 8:00 AM on Saturday morning. DEPARTURE. All teams should plan on playing until 6:00 PM on Sunday afternoon. A Note on Scheduling: The Big South Summer Classic is committed to a first-class lacrosse experience for players, coaches, and families. The organizers of the event have been running, coaching, and playing in lacrosse tournaments for more than 25 years. When setting the championship format brackets, we take into consideration several factors including, but not limited to: special scheduling requests by several clubs, the number of teams in the division, the level of competition, and the geographic regions of the teams. It is our first goal for you to play as many different teams from as many different areas as possible at our events. From there, we proceed to set the format that is the best and fairest way to advance to a championship. Every division has different characteristics and it is our goal to consider as many of them as we can when planning and scheduling. Every team plays a total of five games. Each team will be scheduled four games (three Saturday and one Sunday morning). After your fourth game, teams are seeded for the playoffs. The top four teams in each division advance to the final four. The winners of these final four games advance to a sixth championship game, while the remainder of the division will play their fifth game versus a division team with a similar record. Thanks in advance for your support and best of luck! The Top teams are determined by 1. W-L record; 2. head to head; 3. GA = Goals Against (if we are equal with W-L the team that gave up the fewest goals will advance); 5. coin flip. 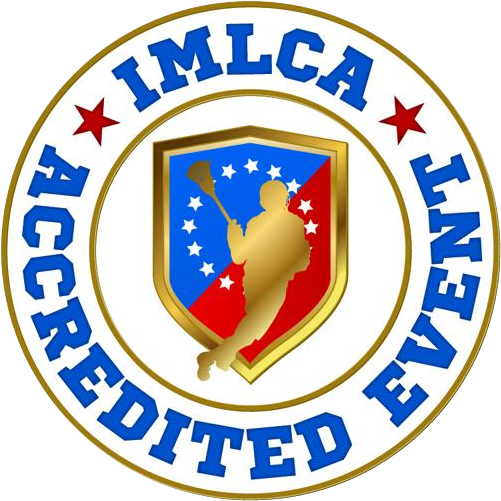 The Big South Summer Classic is an IMLCA Platinum Standard Event. Kindly note that all the information above is accurate at the time of posting to the web site and that all the information contained is subject to change based on registration numbers, field contracts, and a number of other unforeseen factors that impact the administration of lacrosse leagues and programs in the Charlotte area. Due to the anticipated number of students wishing to participate, registration forms will be accepted on a first come, first serve basis. Please note that schedule & field location subject to change due to availablity and final registrations. Finally while we will make every attempted to reschedule practices & games that are canceled due to inclement weather or other reasons, we can not guarantee that cancelled practices or games will be rescheduled, regardless of the reason for cancellation.